atv-quads-4wheeler.com is so sure that we will save you money that we now offer our price guarantee! If you find a lower advertised price from any authorized U.S. dealer on an in-stock product, call or email us and we'll beat any verifiable price. No need to search any further, atv-quads-4wheeler.com will save you money everyday on every product and we guarantee it! ATV-QUADS.com offers a wide range of payment options for your convenience. You can order by phone at 877-667-6289. You can also send the money due through Western Union (Please call 1-877-667-6289 for more details regarding Western Union transactions). ATV-QUADS.com ships via Ground using UPS, FED-EX and USPS as its carrier to the 48 continental United States for all accessories & gear purchases. 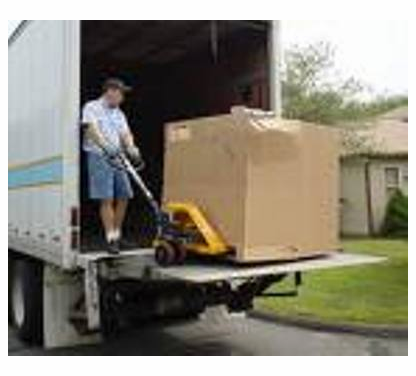 Vehicle purchases are shipped via designated truck carriers. Free shipping utilizes UPS, FED-EX or USPS for the ground and 2-day air shipping services based on shipping locations for accessories & gear purchases. The option to choose which carrier delivers the package is not available. Vehicle purchases are shipped truck carriers. ATV-QUADS.com offers a variety of expedited shipping services to get an order to you by the weekend. Items that are on backorder normally arrive to us in 5-7 business days. ATV-QUAD.com has shipments arriving daily. To check on the status of your order, call us at 877-667-6289. If you want to return accessory or apparel item simply send us an e-mail or call 877-667-6289. Freight must be paid by the customer. On each item returned for refund rather than exchange, there will be a 20% restocking fee. There is no restocking charge on an exchange; only a reshipment fee applies. Items returned for exchange and refund must be returned within 14 days from receipt date in original and unused condition (unless defective). Why is the online price sometimes different than what the price is in our dealership? Will I be charged tax? Arizona residents are charged sales tax. The current rate is 8.25%. We do not charge sales tax in any other state. Remember that by purchasing a vehicle online, you are responsible for performing the setup that a dealer would normally perform - such as putting on tires, hooking up the battery, checking tightness of all nuts and bolts, changing oil, etc. Occasionally some units may need other routine items checked/adjusted such as adjusting the carburetor idle and mixture screws, checking to ensure wires are well connected, adjusting chain slack and alignment, if needed. Although you may perform your own assembly we always suggest having a professional do your initial setup. Please check the machine you are purchasing to validate if your warranty supports self assembly. Most warranties require for good reason a certified mechanic to check and validate the mechanical well being of your new purchase. We will gladly assist you with any technical questions. We have prepared assistance for you to help properly maintain your new purchase!